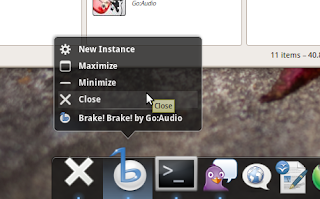 Gnome-Do Docky To Become Separate Application - OMG! Ubuntu! Gnome-Do’s Docky mode will soon no longer be part of Gnome-Do but instead launch itself as a standalone application. 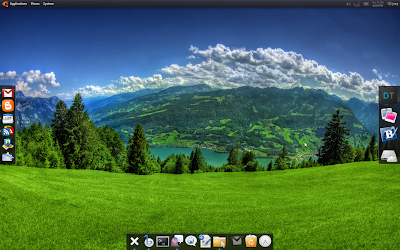 Arguably the most popular dock for Linux there has ever been, Docky has found itself “outgrowing” Gnome-Do “for many reasons”. He does go on to say that although Gnome-Do functionality will not be in the first release, they do hope to ensure Docky can communicate with its former parent inorder to give users some of the functionality they are so familiar with. It should also be noted that this is NOT a fork of Gnome-Do or Docky from Gnome-Do. I have to agree; running Docky on it’s own with Gnome-Do is one of the strangest initial impressions i’ve ever had of an app. I keep instinctively pressing WIN + SPACE and typing the name of app only to look down at the dock and see nothing happening on it – it feels odd! Of course, Docky will remain a MONO app through and through and bring with it exciting new features, improvements and – finally – customization! The current Alpha of Docky comes with four different themes. It may be the slight disappointment at the news of the divorce or it might be justified, but there are a few things i do hope are rectified in coming releases and not overlooked. No Weather Widget is available yet. Bring back the animations when dragging an app off the dock. If you want to try Docky out – and bear in mind it’s very very alpha – then you can simply grab the source from bzr. 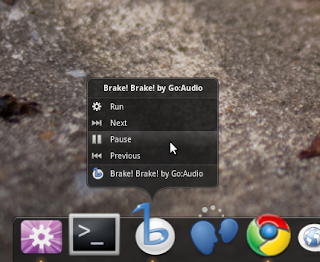 You can install this alongside Gnome-Do without issue – it’s a separate install. If when exiting Docky it remains on screen, open a terminal and type ‘pkill mono’. This will fully quit the application. Adding applications can be hit or miss sometimes, just try and try again. Extra docks can sometimes “not work”. Move the dock to a position that does, add your launchers and then move it back. It’ll now work. Edit: For some reason the icon for Docky 2 doesn’t show up for me, even after force refreshing my icon cache.